Blackjack can bring a lot of excitement even in its simplest form, however, an added element of risk that the side bets introduce can reinvent the game, increase payout potential, and enable the players to change the dynamics of each session – all at the same time. Perfect Pairs is one of the most popular side bets in Blackjack, attractive due to a great payout potential and the fact that it can be settled in multiple ways, independently from the main bet. The generous payout table does not come without a price, but the adrenaline rush provoked by the increased house edge is what drives a lot of players to bet on Perfect Pairs – the gain is just a side effect. 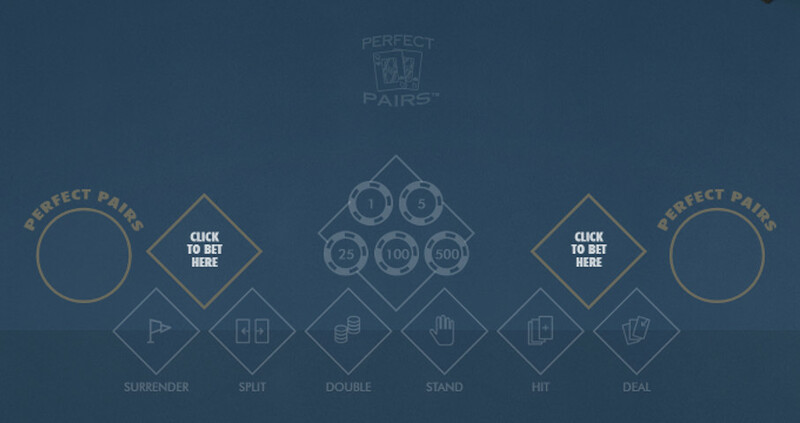 Pictured above – A screenshot of Perfect Pairs being played over at GTBets. Being a variation of the regular Blackjack, Perfect Pairs game follows the same base game betting pattern. The session starts when the players submit the main bet, laying an extra wager on a chance that their hand will form a pair. Split – obviously, you will use this option if you skipped the Perfect Pairs bet. 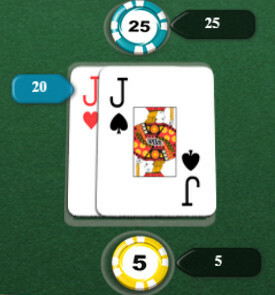 The hand consisting of the cards with the same denomination can be split and played as two separate hands. Double Down – double the original bet and draw a card. It is important to note that this option limits the players to only one extra card. 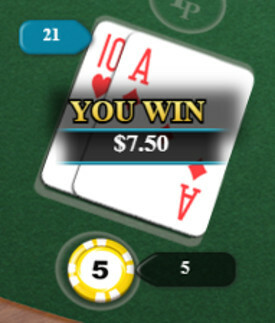 The session ends when the dealer reveals the hole card and the players who landed a total of 21 (or a total that’s higher than the dealer’s, but not over 21) win the round. Mixed Pair – a pair of cards with the same face value, but with different colors. For example, 3 of spades and 3 of diamonds. 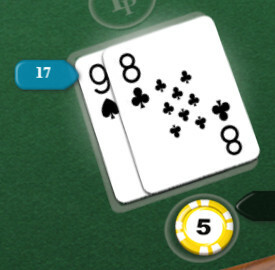 Color Pair – two cards with the same value and color, but with different suits – 8 of diamonds and 8 of hearts. Perfect Pair – the highest paying combination of two cards with the same face value and suit. The house edge and the payout potential is the dividing line between the traditional and Perfect Pairs variant – the odds are not in favor of the players, which is precisely why some players avoid it, while others are attracted by its high volatility. Playing standard Blackjack is therefore much safer and more likely to result in a profit, especially if a basic strategy is employed. With Perfect Pairs, the theoretical payout level is equivalent to the risk and the players are knowingly taking that risk, hoping that it might pay off, and (hopefully), enjoying the rush of uncertainty. It’s not the best pair, but at 5:1, I’ll take it! The payout rate will primarily depend on the actual combination – mixed, color or perfect. At the same time, not all Perfect Pairs Blackjack games employ the same payout table for the side bets, and the bets can be settled according to one of the 4 payout tables below. 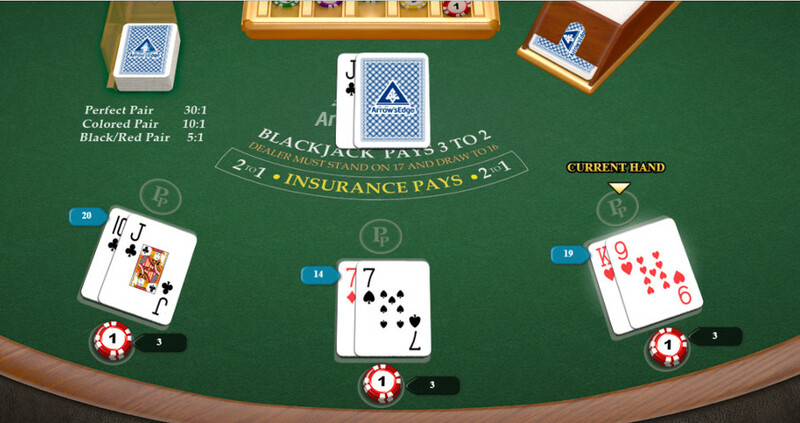 Each of the tables represents the payout rates for 8-deck Blackjack games. The average house edge for the Perfect Pairs bet is 6%, which sounds high when compared to 2% disadvantage of the standard Blackjack or 0.5% edge if the player is using a basic strategy. And of course it’s always nice to flop this out in any version of Blackjack! Memorizing and applying the basic Blackjack strategy chart is pretty much all you need for any Blackjack variant, including the Perfect Pairs. There is no reliable tactic that could be applied to Perfect Pairs specifically unless you count budget management systems. The best approach to improving your odds of winning this (as well as any other side bet) is to combine the standard Blackjack gameplay techniques and determine the balance that you will use as you Perfect Pairs betting budget. Make sure that this sum does not exceed the amount that you can afford to lose – the chance of hitting a Perfect Pair bet is approximately 1 in 60, so losing your entire side-bet balance is quite probable. One of our favorite places to play Perfect Pairs? Bovada, along with a whole buttload of types of Blackjack and other Table Games available! Also, be sure to check out these other questions and answers for newbies when it comes to Online Gaming! Perfect Pairs being played over at Bovada. As you can see, the table looks different, but rest assured it involves the same game play. …hit or stand… …hit or stand… …hit or stand… See the tables to the left for some strategy. Nobody was born knowing how to play Blackjack, we all had to learn somewhere. Let these tips guide you on your way to becoming a skilled player. Also something to remember, if it turns out that Perfect Pairs isn’t really your thing, there are so many other Blackjack options out there for you. You’re bound to find your favorite out there somewhere! Read More Articles About Blackjack! Need a Break from Blackjack? It happens! Why Not Try Your Hand at Baccarat?